Maruti Suzuki has taken the veil off a sportier concept variant of its popular Baleno 2016 hatchback. The new variant is going to be called the Maruti Baleno RS, and it will launched in India later during the festive season. The Maruti Baleno RS will look to eat into the market share of what will be its closest rival upon launch, the Volkswagen Polo GT. The Baleno RS gets its power from a 1.0-litre turbocharged petrol engine with BoosterJet technology, that will churn out an impressive 112bhp and 175Nm, giving it more horsepower than the Polo GT. 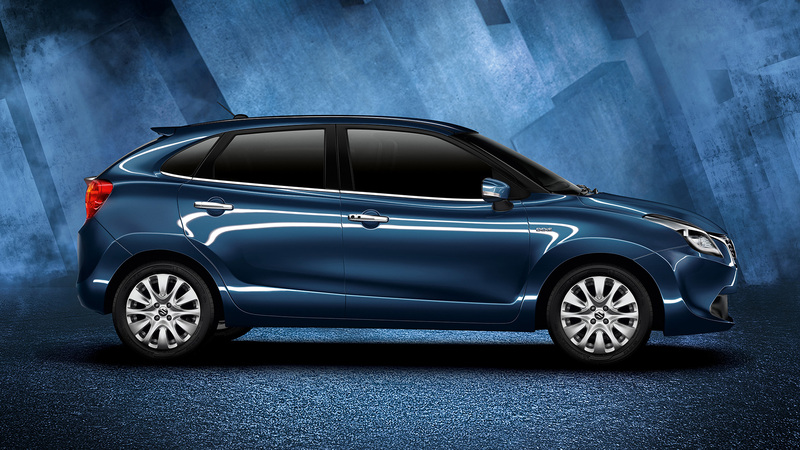 The Maruti Baleno RS will feature a bold design language, with aggressive styling already seen on the standard model. The Maruti Baleno RS gets sportier bumpers, chrome front-grille amongt other cosmetic updates to complete the aggressive look. Coming to the interiors, the Maruti Suzuki Baleno RS has received some good upgrades. The basic feel from the inside is of the standard Baleno. Aluminium finish pedals, all-black interiors, minimal chrome inserts, front sports seats with cross stitched upholstery all add to the sporty and premium feel. At this amount of power figure please give extra pairs of disk brakes at rear wheels for much sports car like feeling.